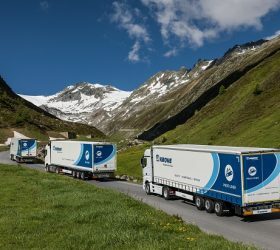 Cleverly connecting the transport world and creating first-class added value – that is what this year’s Krone motto “Clever Connections” for the IAA Commercial Vehicles stands for. “We are making the trailer ready for the future with artificial intelligence and networking our products with suitable services for more mobility and more efficient logistics. This ensures safe transport of goods and prompt provision of all important transport data. We place the highest demands on our portfolio and constantly renew our quality promise so that our customers are on the road even more economically,” explains managing partner Bernard Krone. The innovative family business from Emsland presents numerous vehicle highlights as well as its 360° service for commercial vehicles. These comprehensive services, such as flexible full service offers, fast spare parts logistics and intelligent telematics solutions are a particular focus. These optimise the operating times and total cost of ownership (TCO) of freight forwarders. This creates first-class added value for the tough daily transport routine in logistics. Krone makes the trailer ready for the future. The Smart Trailer Check ensures optimum transport conditions even before the journey starts. 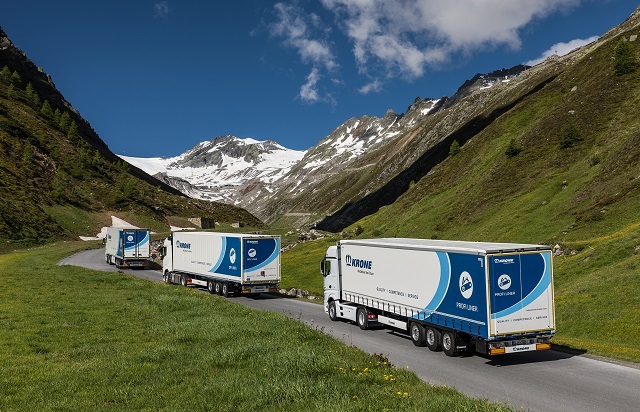 A convenient overview of free capacities in the trailer is provided by the Smart Scan load space detection system and further networking with freight exchanges in Smart Capacity Management ensures optimum use of the free space. All this is linked in the Krone Telematics Portal and makes transports even more efficient in a clever way.